CHUCKLEHEAD will be performing at The Pyramid Club NYC on October 9 as part of the 2014 CBGB festival. This is an EARLY show, Chucklehead goes on at 8:30pm sharp. Funk is an itch and it needs to be scratched. The members of Chucklehead are super-duper itchy. Over the years, there have been several attempts to regroup but the funkateeers could not be corralled. This time the stars have aligned and the band is looking to play several shows this Summer. Special guests from the old days are rumored. Chucklehead exists now in recordings, documented both on the band’s albums and the extensive live tape library. The band’s heavily themed and costume-rich live shows are legendary with fans and the media alike: The Funk Aquatic Convention, The Jungle Function, The Winter Wonderland. The live concert was the band’s truest art, it’s most fully realized expression and one of the best live shows the ‘90s delivered. Famous for selling out venues like the Paradise, Momma Kin, Wetlands, The Muse, Ocean Mist and many others across the US, the band is looking forward to seeing lots of familiar faces and introducing it’s wild funk to the uninitiated. The seminal Boston-based group helped generate and define the independent live hip-hop and funk scene in the ‘90s -and the music remains timeless. 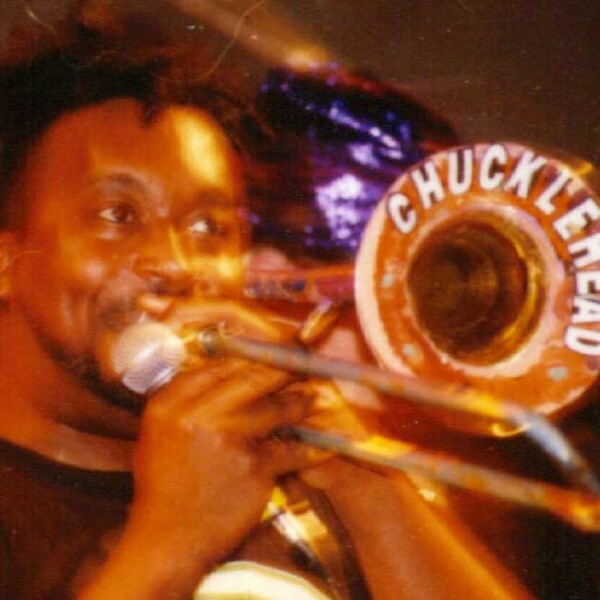 Chucklehead recorded 3 albums, selling over 40,000 copies and toured the US non-stop for seven years, appearing in front of over half a million people. At the apex of grunge, Chucklehead was forging a new path, mixing live hip-hop, funk and rock and roll, influencing other bands and foreshadowing much of the mainstream popular music that’s dominated the airwaves since. The indie-funk watershed big wet kiss dropped on Summit Records in 1992. The sophomore Fuzz and final album Belly Up followed in 1994 and 1997 on Wonderdrug Records. The group’s albums and live shows received support and critical acclaim from media outlets from MTV and The Village Voice to Details and Billboard Magazine. A regular on MTV, the group won four Boston Music Awards, Six Boston Phoenix (RIP) Awards and was heard on hundreds of commercial/alternative and college radio stations. Chucklehead sold out venues across the country as a headliner and opened for legendary acts as diverse as KRS-One and Bob Dylan. They were sued by Pillsbury, kicked out of town by at least one sheriff and dutifully studied for clues to funk supremacy by countless bands. Several members of the band are still not permitted to drive in the state of Maine. Put me on your mailing list. I am a big fan since way, way, back. Back in the days of “Outbound”. Saw the farewell show at Mama Kin and the reunion at the Middle East. Bummed that I missed the last middle east show, I didn’t know it was happening. I am planning on making the trip to NYC with a few friends for the show Oct 9. Let me know if that show is definitely on, and like I say, put me on the list for any new shows!